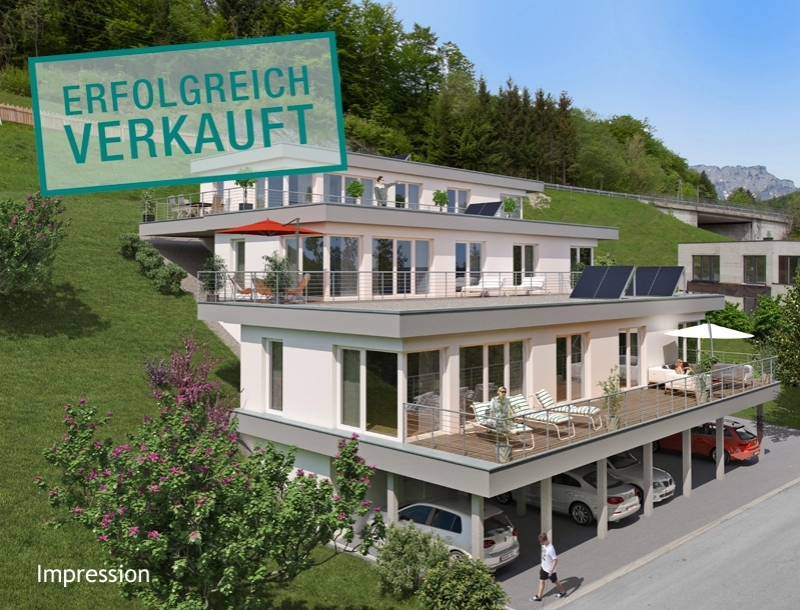 A modern timber-frame building comprising only 3 attractive 4-room apartments (around 96 m² of living space) with up to 59 m² XXL sun terraces, 2 carports, and a basement storage room awaits you in Bad Dürnberg near Hallein. 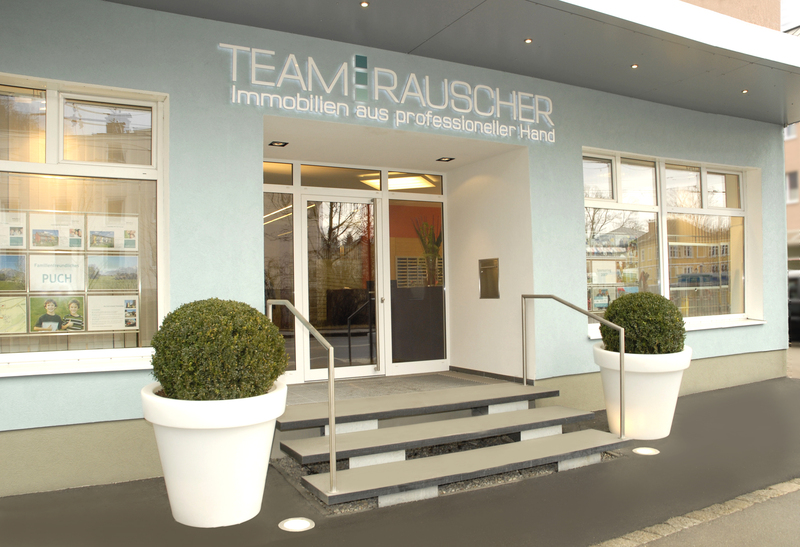 The attractive location is only a few minutes’ drive from Hallein where everything from shops, kindergartens, schools, restaurants, etc. can be found. 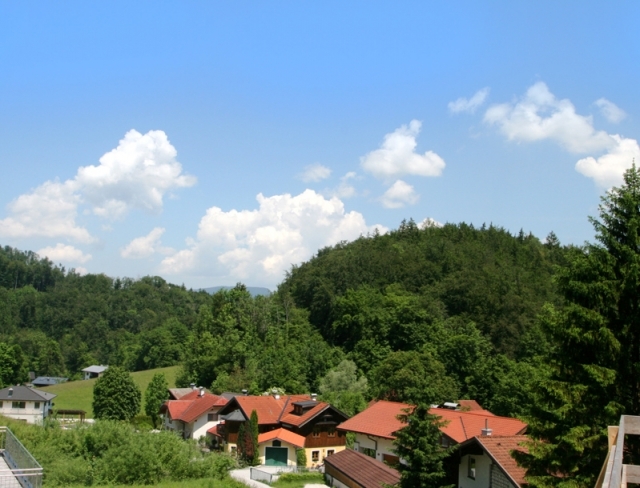 This is also the ideal point of departure for leisure activities (hiking, MTBiking) whilst the summer toboggan-run and Zinkenkogel ski region are also not far. Young couples and families alike will feel at home here: the oases boast winning layouts that are flooded with light owing to large picture windows. The attractive living/dining area and kitchen take centre stage. A highlight is the large sun terrace with verdant views and an adjoining garden. Restful sleep can be enjoyed in the well-designed bedroom, which is complemented by two additional rooms (ideal as hobby room/playroom/study). The stylish bathroom comprises a shower and bathtub. There is a separate WC and washing machine connection in the utility room. Additionally, there are spacious storage rooms outside the apartment. Modern fixtures and fittings including top-notch parquet flooring, stylish bathroom features, underfloor heating, air-water-heat pump, 25 energy points, max. EUR 56,300 housing subsidy, HWB 55. Top 1, 1. OG 4-Zimmer-Wohnung 96 m² Wfl. Top 2, 1. OG 4-Zimmer-Wohnung 96 m² Wfl. Top 3, 1. OG 4-Zimmer-Wohnung 96 m² Wfl.